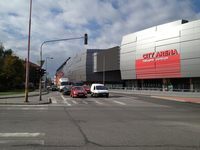 Demolition of the old Anton Malatinsky Stadium began in April 2013, while official cornerstone mounting for its successor took place in September. 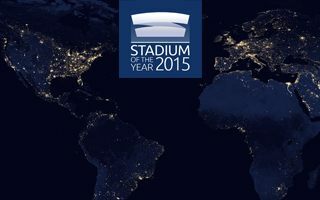 Apart from maintaining the shape of western grandstand (forced by local constraints), all of the stadium was built along an entirely new vision. 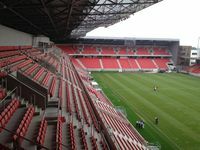 Double-tiered stands on three sides of the pitch are very compact and grow upwards, reaching 29 meters at peak (roof included). 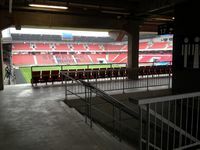 The reasoning behind such layout doesn’t have much to do with matchday experience, rather saving as much room as possible for other facilities. 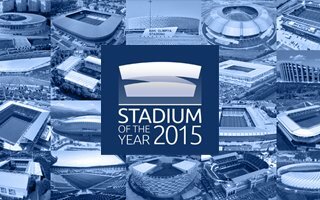 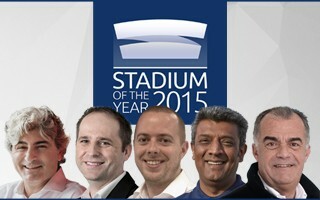 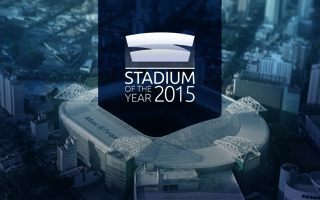 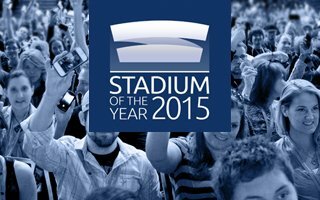 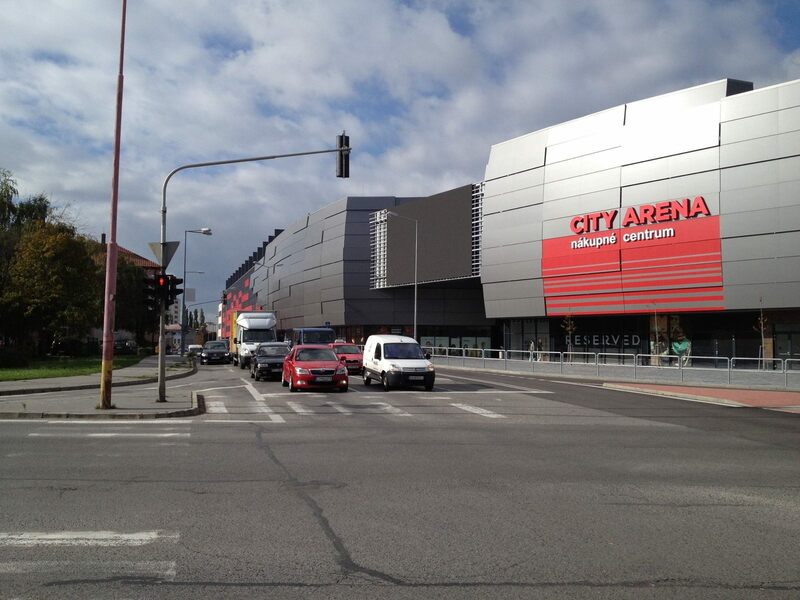 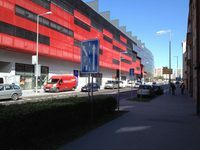 The stadium is part of a shopping center by the same name – City Arena. 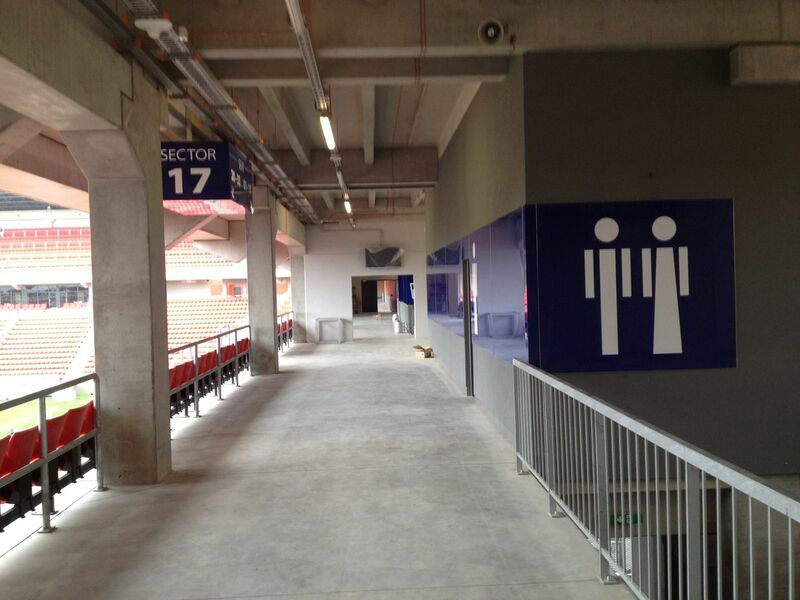 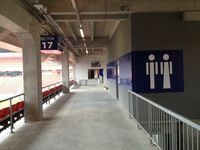 Though historically this stadium’s main stand was in the west, the new stadium offers crucial amenities for players in the east, just like the section for VIP guests with 1,500 seats. 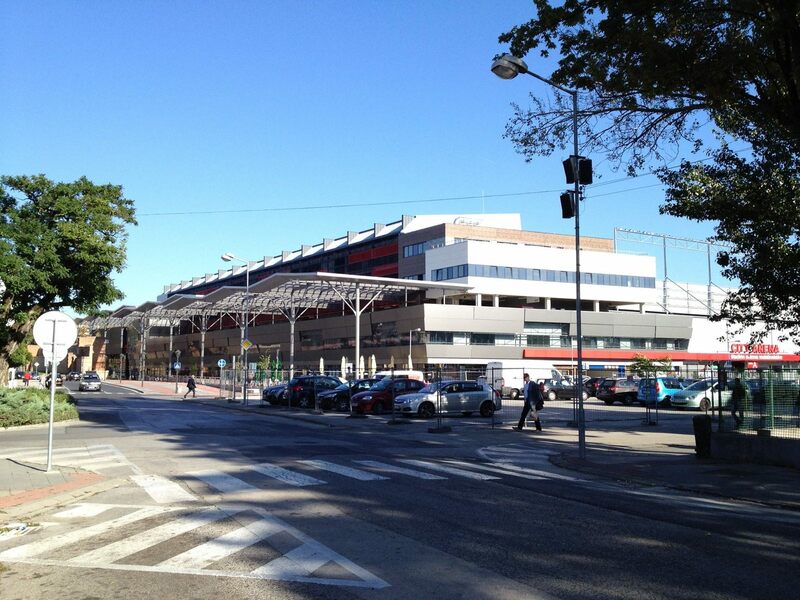 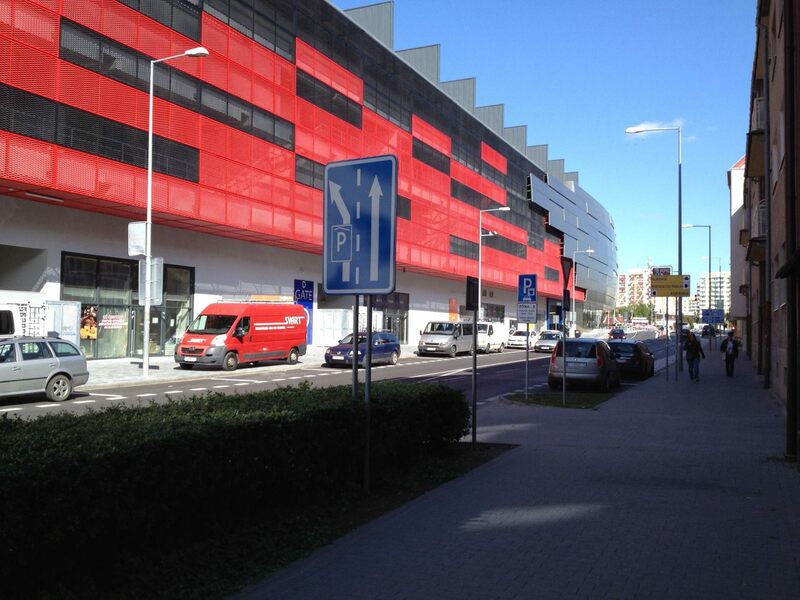 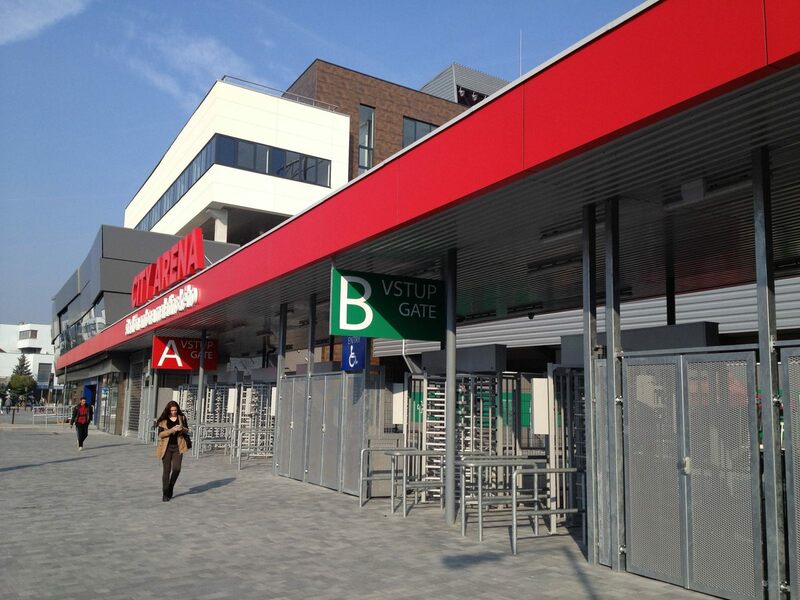 This side is conjoined with the shopping center, which allowed for the stadium to be built in the first place. 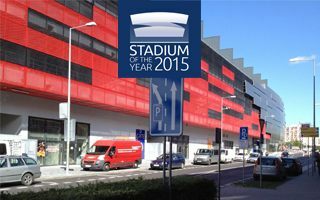 Without planning permit for Euro MAX’s commercial investment, the company wouldn’t co-finance the €30 million stadium. 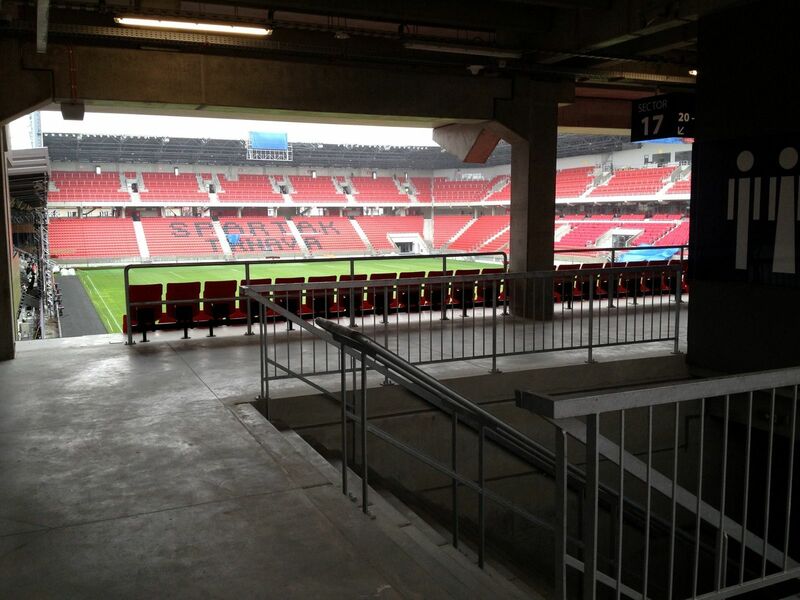 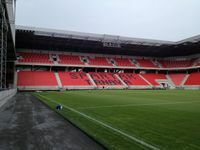 Most of the funding came from Euro-MAX, while the remainder was provided by Slovak national football association, SFZ. 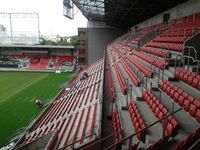 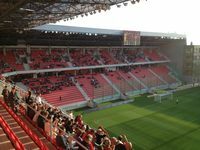 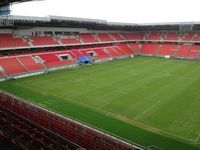 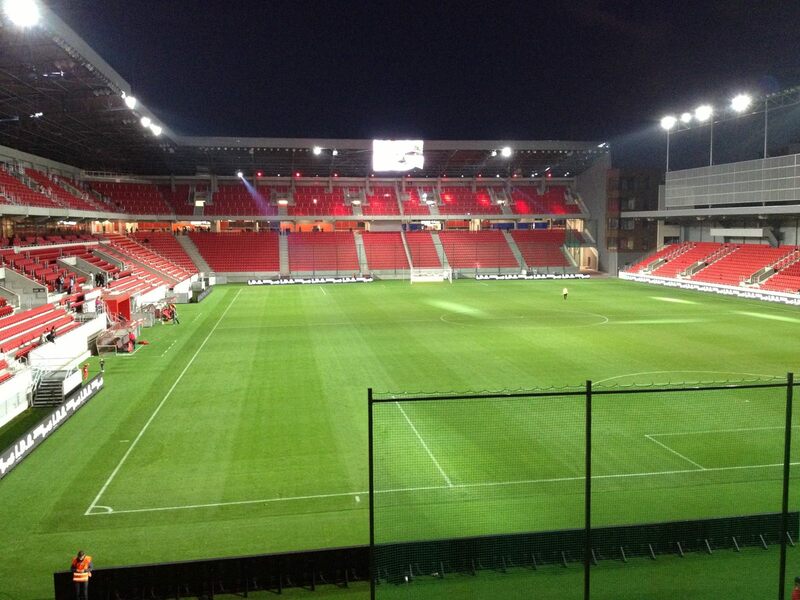 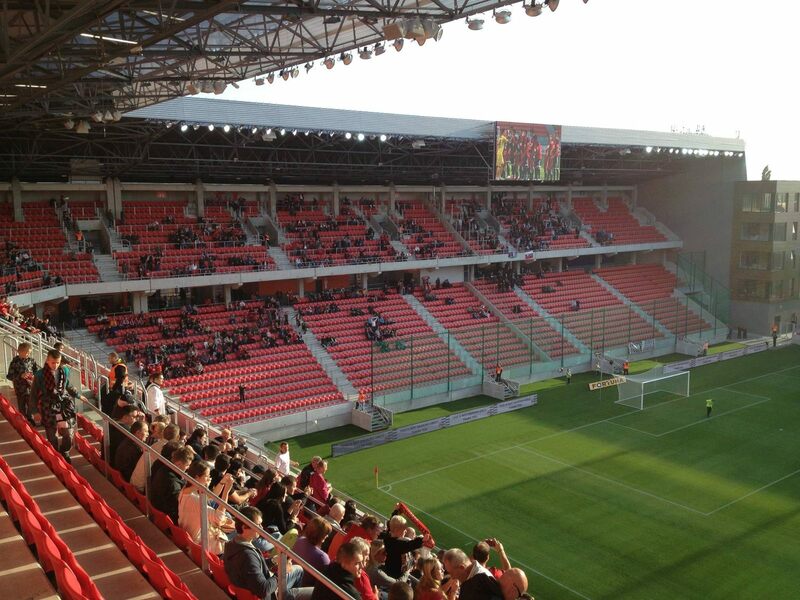 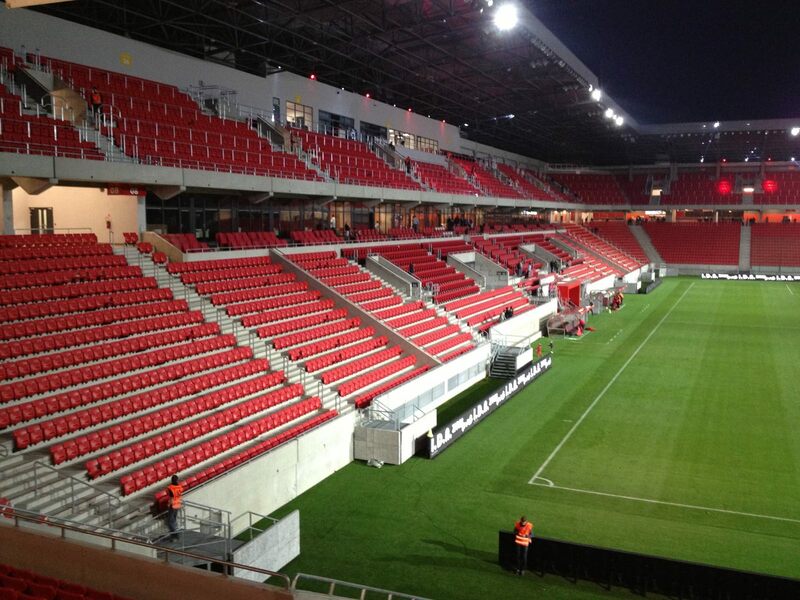 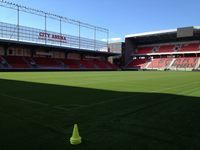 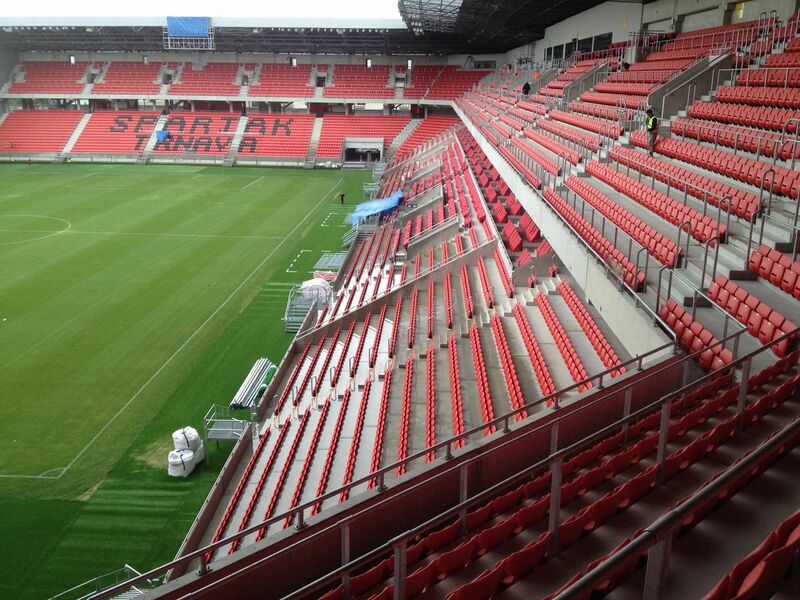 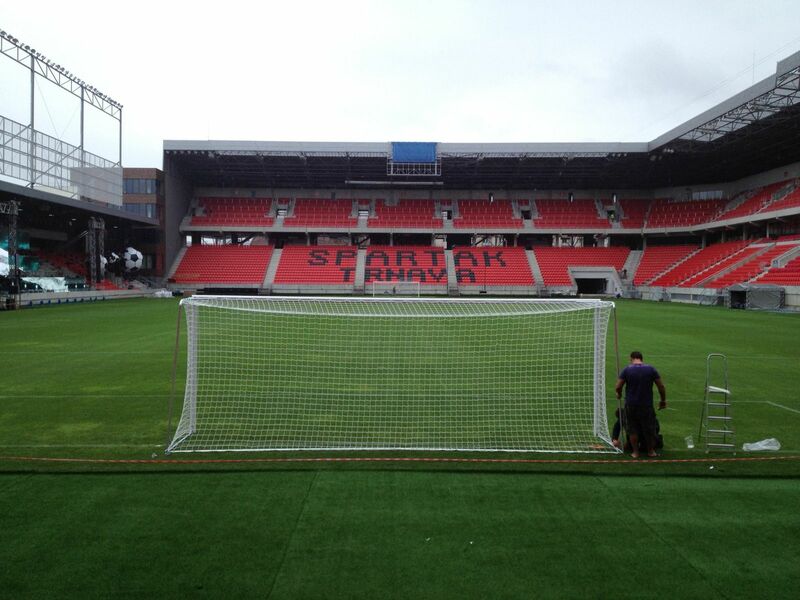 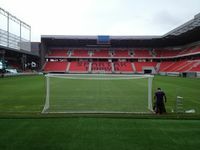 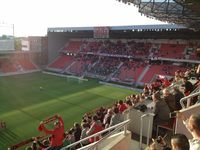 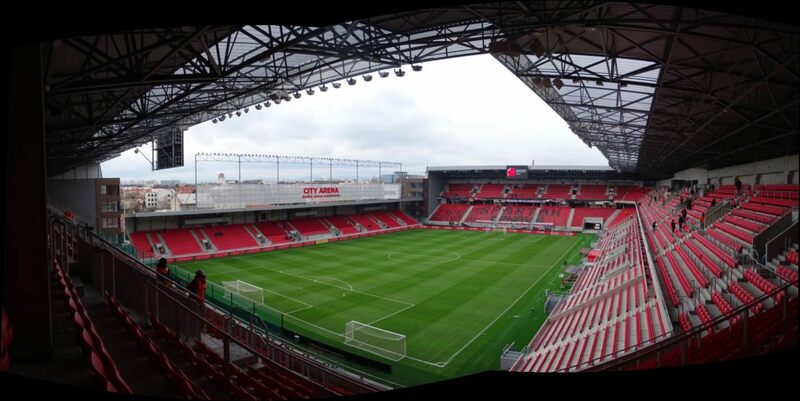 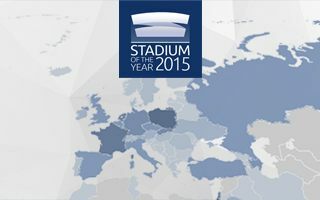 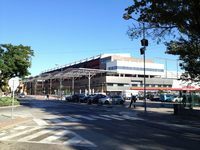 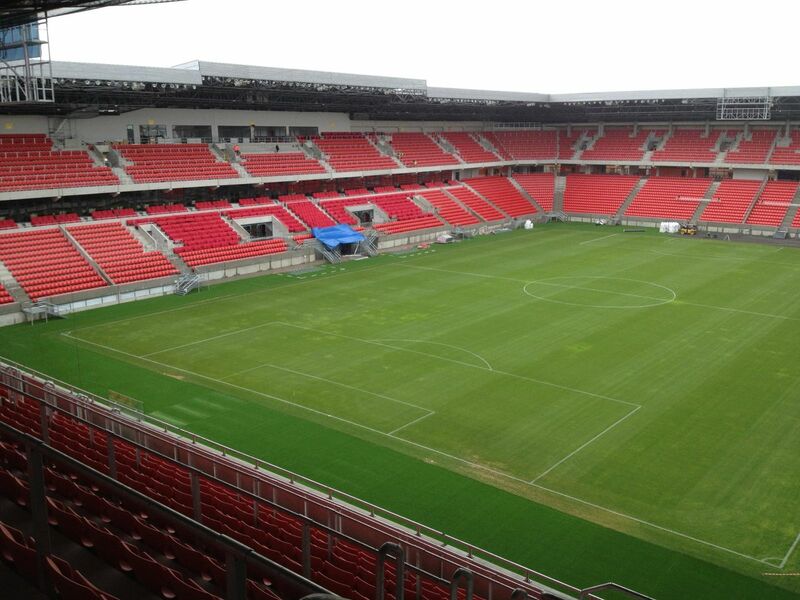 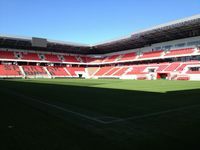 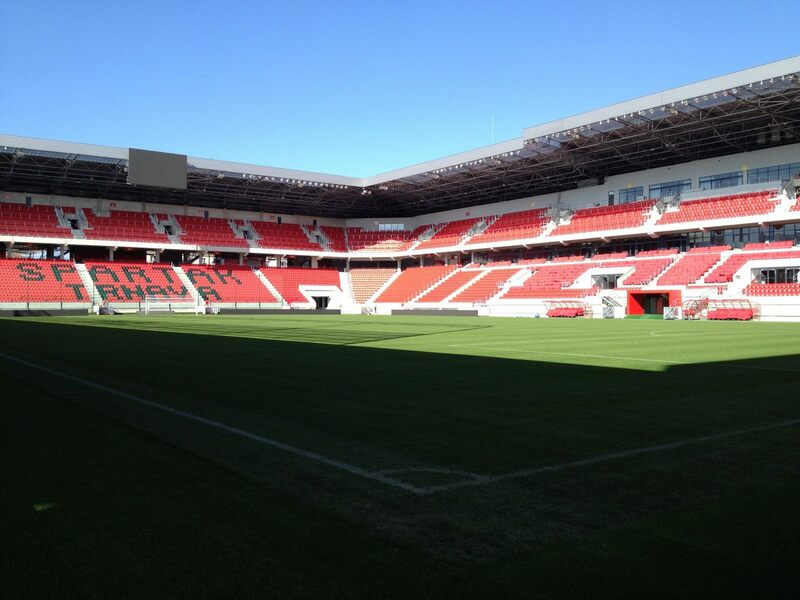 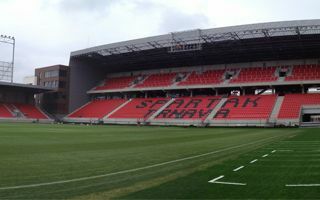 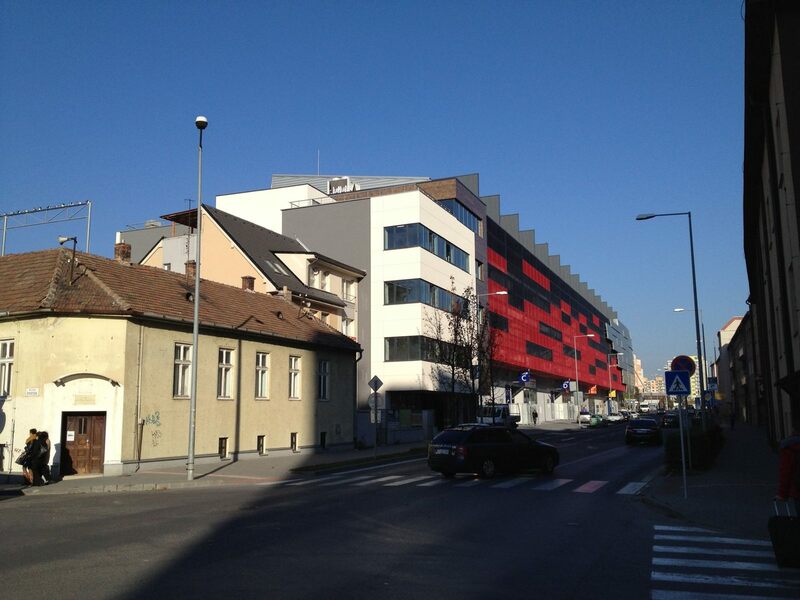 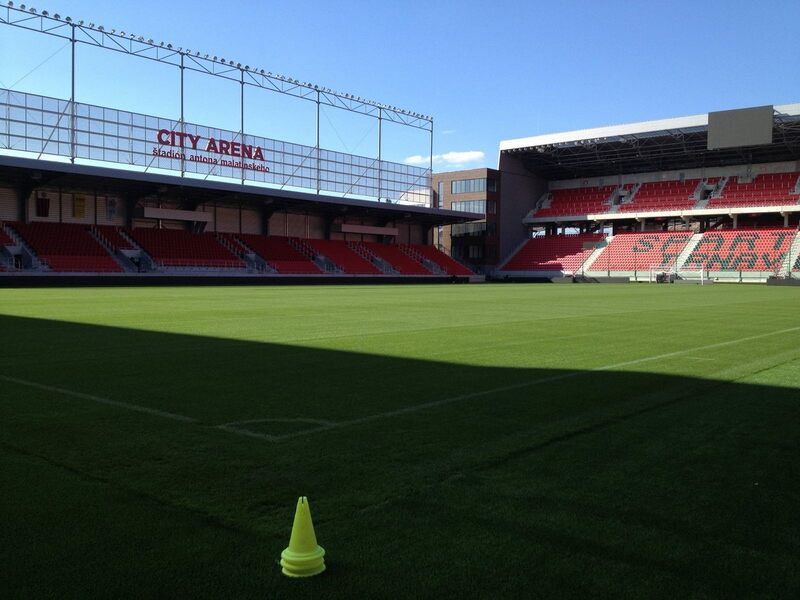 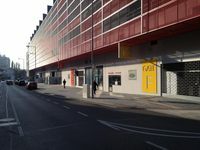 The federation contributed €13.5 million and gained the rights to co-manage the stadium, despite it being transferred to the municipality of Trnava after completion in August 2015.